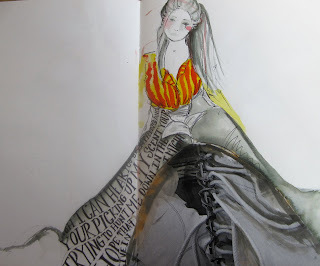 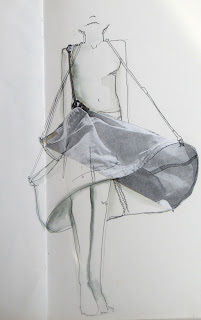 e have all been so frantically busy at home for the last couple of weeks that I have nt even had time to post anything....however Fran has been doing some great fashion drawing in sketchbooks which I thought were definitely worthy of a post! I love the way she has incorporated photocopies ias part of the final artwork.. THESE ARE FABULOUS! 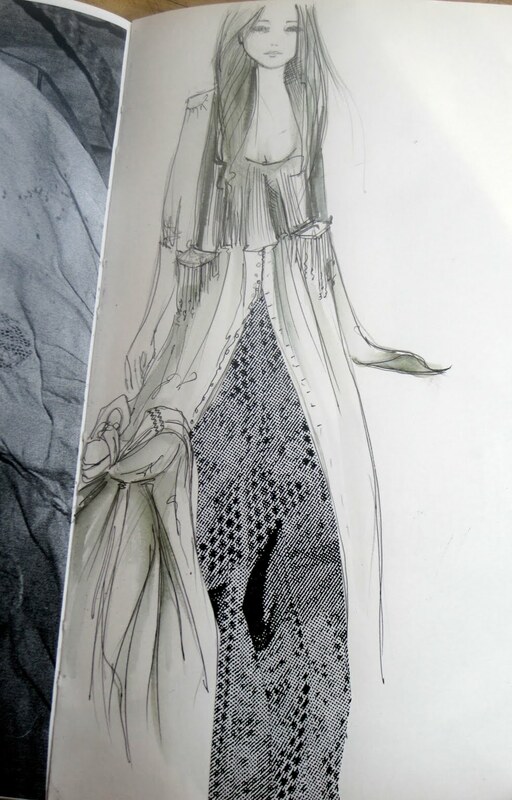 I LOVE THE PHOTOCOPY BITS TOO - AMAZING HOW MUCH TEXTURE AND DRAMA IS ADDED ISNT IT! WHAT A TALENTED DAUGHTER YOU HAVE - MIND YOU I THINK ITS A FAMILY TRAIT!